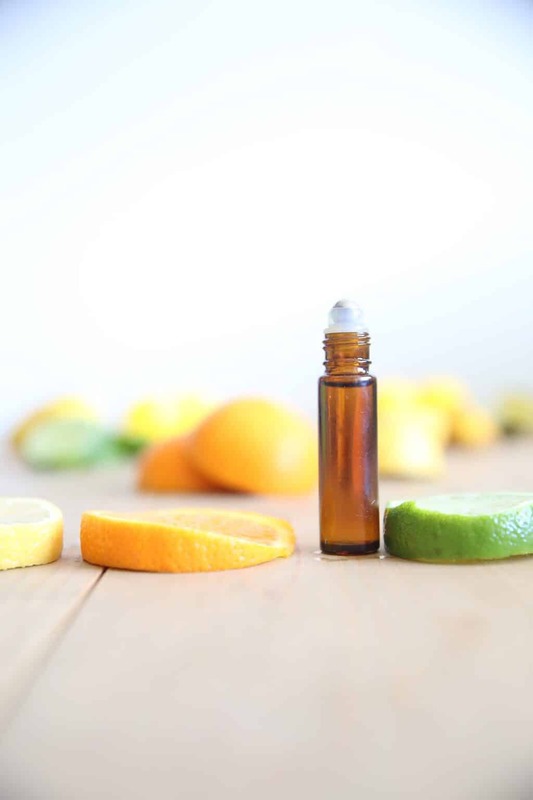 NAVIGATING THE MANY BENEFITS OF CITRUS ESSENTIAL OILS CAN BE OVERWHELMING. THIS ULTIMATE GUIDE FOR CITRUS ESSENTIAL OILS IS ALL YOU NEED. LEARN HOW TO USE THEM SAFELY AND THE BENEFITS OF THEM. Citrus oils are very uplifting, energizing, and cleansing for the body. They are cold pressed from the peel of the fruit, very powerful, and concentrated. Citrus essential oils are loaded with benefits and can be used for an array of aliments. 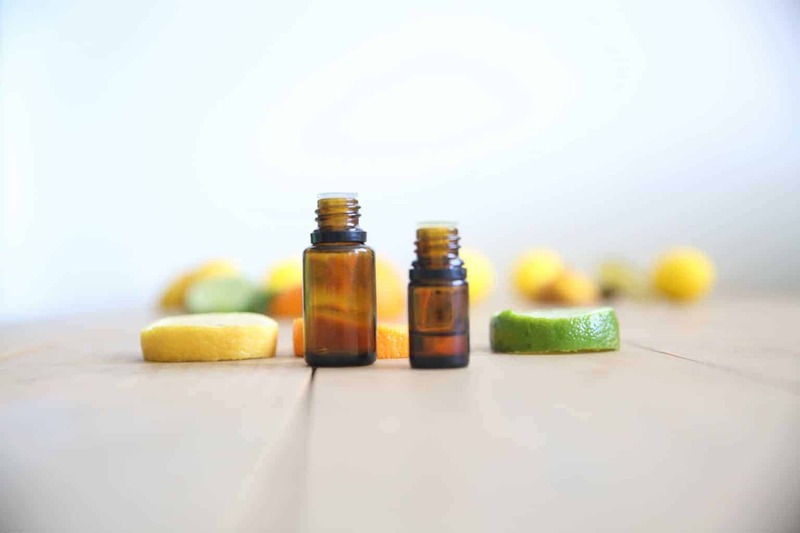 I am excited to share with you my love for citrus essential oils and show you how to incorporate them into your daily routine. In addition, I will share my favorite citrus essential oils and recipes. Most citrus essentials are phototoxic, therefore should not be worn in sunlight. Phytotoxic is when a reaction occurs to the skin when substance applied to the skin that occurs only in the presence of UV light. When this occurs you may experience red skin, severe sunburn, darkening of the skin, blisters, or swelling. Never put essential oils into the ears or eyes. When taking internally make sure you are using pure essential oils that are high quality and safe for internal use. 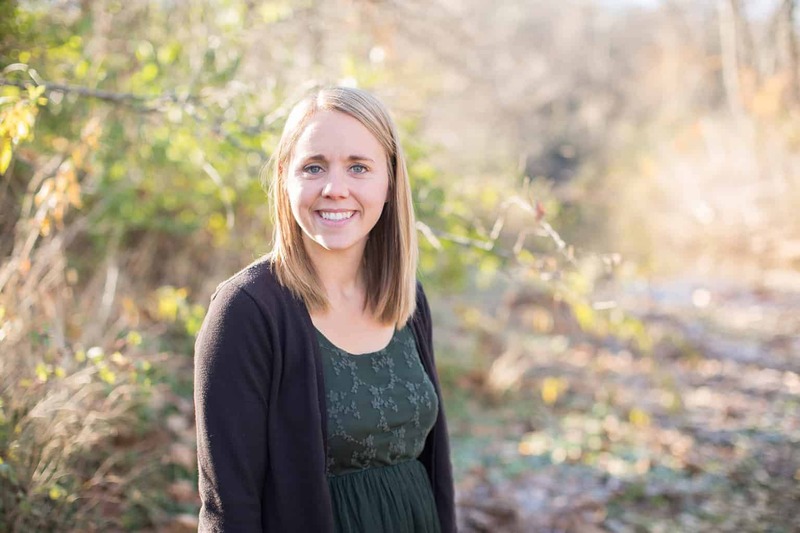 I talk more about that in my, Taking Essential Oils Internally post. Citrus essential oils can be very effective for uplifting the mood when used aromatically. Add 4-6 drop of one citrus oil or a blend of oils to a diffuser. 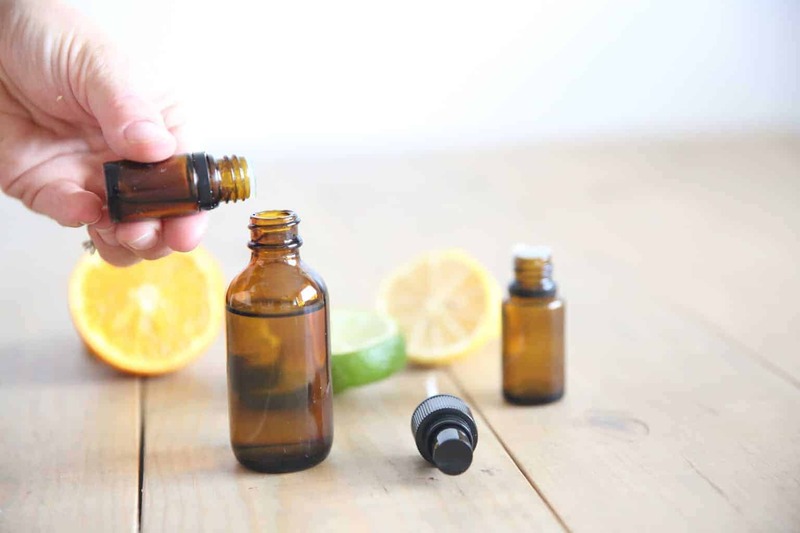 Inhale a citrus oil right out of the bottle. When you breathe the oil in it will go through the nasal cavity and to the limbic system. The limbic system is the part of the brain that effects emotions and stimulation. Apply topically to pulse points. Wild orange is one I go to often for a natural energy boost. I’ll just take it and inhale it right out of the bottle to help wake me up. Add one drop of your favorite citrus oil under the tongue to boost energy. Difffuse a blend of essential oils in the afternoon when feeling tired. Citrus essential oils gently detox the body when used internally. 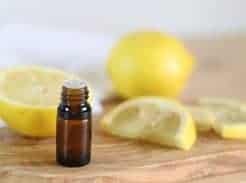 Add 1-2 drops of any citrus essential oil, my favorite is lemon and grapefruit, to 8 ounces of water. Put 1-2 drops of any citrus essential oil under the tongue, hold it there for 30 seconds, and swallow. Citrus essential oils have cleansing and purifying properties, therefore making great natural cleaners. Add 5-10 drops of wild orange to olive oil and use to dust furniture. 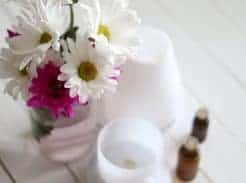 Using roller bottles are my favorite way to apply essential oil topically. Roller bottles are very convient and great for travel. I have a few roller bottles in my diaper bag at all times in case of emergencies. Add 15-20 drops of essential oil to a 10mL roller bottle. Top the roller bottle off with a carrier oil, my favorite one is fractionated coconut oil. Learn more about carrier oils here. Shake the roller bottle and it is ready for use. Apply to pulse points, bottoms of feet, back of neck, and down the spine. My all time favorite citrus essential oil is bergamot, this one is both calming and uplifting. Bergamot can be used to reduce stress and anxious feelings. If you are feeling tired inhale some wild orange and peppermint essential oil for an all natural pick me up. Add a couple drops of wild orange to some melted chocolate for a delicious dip. 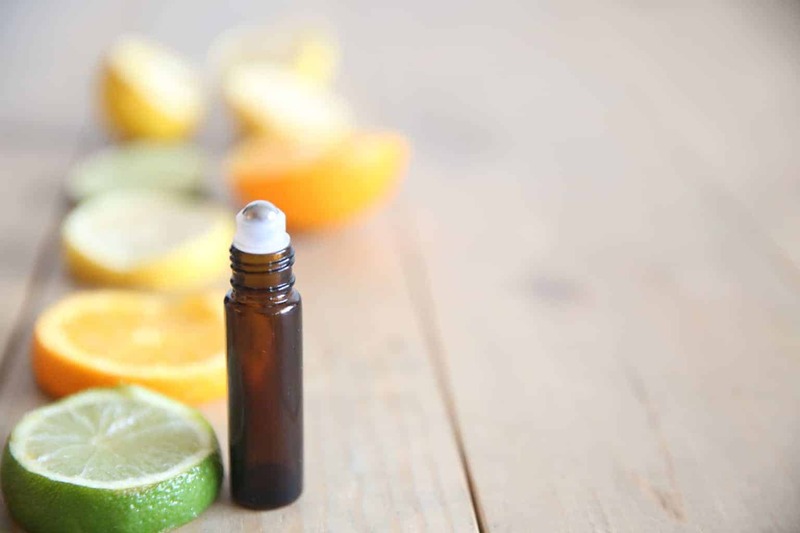 This citrus essential oil can open up airways when feeling congested. Massage into the chest or diffuse when stuffy. Lime can also be used in the kitchen, add one drop to guacamole or into cheesecake. Next time you can experiencing discomforts from seasonal threats grab your lemon essential oil. Apply t o chest and bridge of nose to break up mucus and promote clear breathing. Lemon is also known for its detoxifying properties. Add into water daily for kidney and liver health. Lemongrass essential oil can actually strengthen hair follicles and help against hair loss. Add a few drops into your shampoo or massage into the scalp after washing. Grapefruit essential oil can be used for weight loss and well-known for its ability to support a healthy metabolism. Inhale, apply topically, or take internally to help with weight loss and cravings. This essential oil is very uplifting, energizing, and purifying. Diffuse this one in the home to cleanse the air and uplift the mood. This rare essential oil contains up to 95% limonene. Limonene is used to promote weight loss, treat disease, and good for the skin. Kumquat is set apart from other citrus oils bencause 46 of its known constituents have not been found in any other essential oil. Looking for a new addition to the skin care routine? Use your red mandarin essential oil. Add 1-2 drops into a dime size amount of coconut oil or into the current cleanser you are using and massage into the face. The gamma-Terpinene property as this oil makes it very cleansing and works as a mild skin toner and clarifier. The sweet smell of clementine is very motiving, uplifting, and energizing. Add to the diffuser when tired or trying to focus. Add 1-2 drops of Clementine to your drinking water for enhanced flavor and to help improve metabolic function. Add essential oils to a 10mL roller bottle and top off with a carrier oil. Add 1-2 drops of wild orange to 12 ounces of chocolate. Use as a dip for fresh fruit or pretzels. Put 1-2 drops of lemon essential oil to a berry smoothie for added flavor and benefits. Add 1-2 drops of lime essential oil to avocados, garlic salt, and cumin for homemade guacamole. What are some of your favorite ways to use citrus essential oils? Share with me in the comments!